Found one file extension association related to SLIM Suite and 1 file format developed specifically for use with SLIM Suite. Developer: Quantitative Software Management. Inc. Developer / company: Quantitative Software Management. Inc.
QSM's Software Lifecycle Management (SLIM) tools support better decision making at each stage of the project development lifecycle: estimating, tracking, and metrics analysis. Each tool is designed to deliver results, either as a standalone application or as part of QSM's integrated suite of proven software metrics tools. 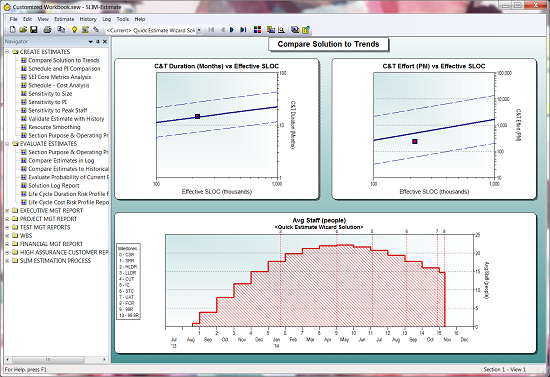 If you need more information please contact the developers of SLIM Suite (Quantitative Software Management. Inc.), or check out their product website.